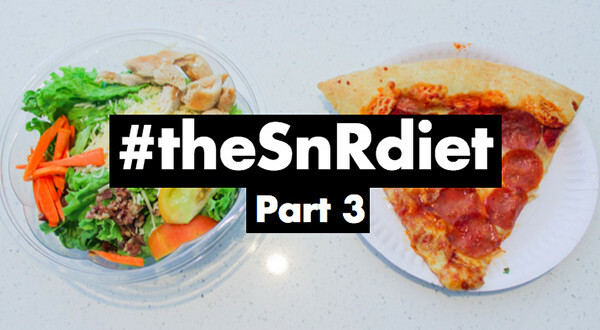 Home / The S&R Diet Explained / S&R Pepperoni Pizza vs. Chicken Caesar Salad – Which is Better? 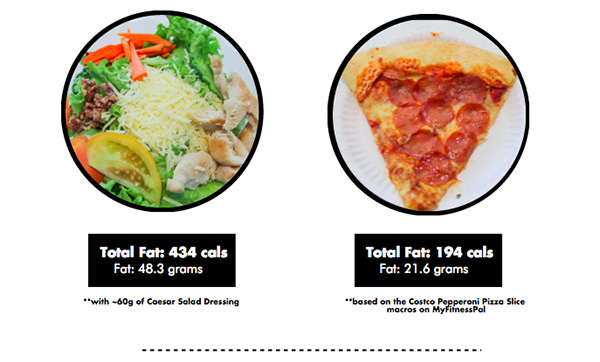 The chicken Caesar salad contains more micronutrients than the pepperoni pizza slice. However, the amount that you get in probably 1 or 2 cups of lettuce isn’t that significant if your diet as a whole isn’t in check. If your idea of eating “healthy” is ordering a salad once every week or so, you’re probably not getting enough micronutrients to begin with. The micronutrients in this one salad won’t be enough to offset a week’s worth of nutrient-deficient chips, fast food, candy, soda. etc. The chicken Caesar salad comes with toppings that are high in fat, like cheese and bacon, and the Caesar dressing is also high in fat. 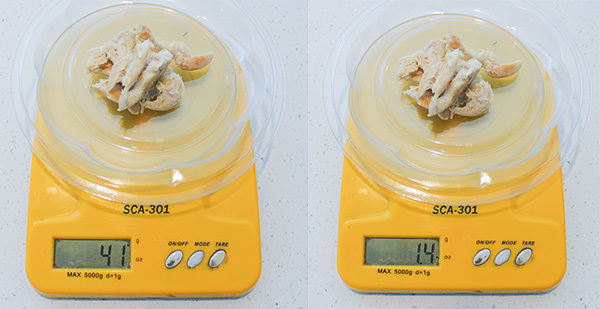 If you eat your chicken Caesar salad with all the trimmings and drench it in dressing, you could very easily be consuming just as much fat through your salad as you would with a pepperoni pizza. The chicken Caesar salad isn’t as filling as the pepperoni pizza. I find that people (such as myself) who substitute meals for salads end up eating another meal or snack shortly thereafter. So essentially you’re consuming twice as many calories per meal, which can be detrimental to weight loss. Years worth of separating “diet foods” and “junk foods” has had an effect on the way people view food in general. When you’re dieting, you’ll probably derive more satisfaction from say, a pizza slice than something associated with dieting, such as a salad. When I’m dieting, a pizza is far more attractive to me than a salad. Don’t get me wrong, I’ll eat salads when I need to, but if given the choice, I’m much happier with pizza. For the same amount of calories, why not have something that will give you more satisfaction? 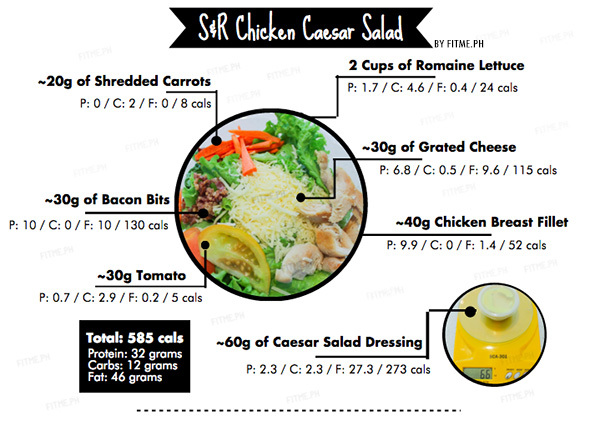 The chicken Caesar salad is a hit or miss with the chicken portion. Some S&R branches will give a poverty amount (~20 grams), while others will give significantly more (~40 grams). Without the chicken, you essentially just have greens, cheese, bacon and a high-fat dressing. This translates to low carbs, low protein and high fat. 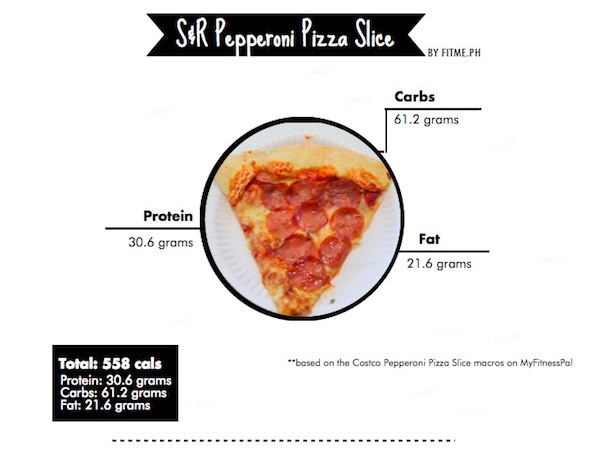 With a pepperoni pizza slice, you can’t be without the cheese or the pepperoni, so it’s always going to be moderate protein, high fat and high carbs. We are in no way telling you to forego salads for pizza at every chance you get. The point is that once in a while, for the same amount of calories, there’s no harm in substituting one for the other. One meal, out of maybe 40+ meals we have per week, isn’t going to make or break us. Why would it be any different for you?